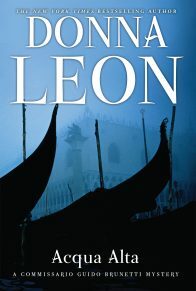 Praising Donna Leon’s international best-selling Commissario Guido Brunetti detective series as one of the top to savor, Time raved that “no one knows the labyrinthine world of Venice or the way favoritism and corruption shape Italian life like Leon’s Brunetti . 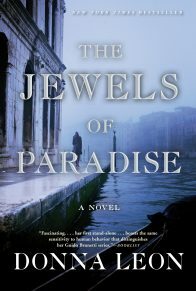 . . the thoughtful Venetian cop with a love of food, an outspoken wife, and a computer-hacker secretary who plays man Friday to his detective.” In this latest, highly anticipated novel, Brunetti delves into the secrets of the island of Murano, home of the world-famous glass factories. On a luminous spring day in Venice, Commissario Brunetti and his assistant, Vianello, play hooky in order to help Vianello’s friend, Marco Ribetti, an environmental activist who has been arrested during a protest. 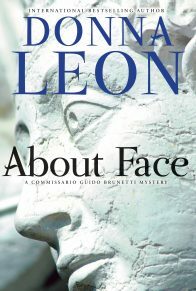 Brunetti and Vianello manage to secure his release, but on the steps of the Questura, they come face-to-face with Ribetti’s father-in-law, Giovanni De Cal, a cantankerous glass-factory owner. De Cal has been overheard in the bars of Murano making violent threats against Ribetti. Brunetti’s curiosity is piqued, and he finds himself drawn to Murano and its fornace, where his father once worked, to investigate. Is De Cal the type of man to carry out his threats? By all accounts he is constantly angry, bullying suppliers and fuming against environmentalists. Then the body of De Cal’s bookish night watchman is found in front of the blazing furnace of the glass factory, and Brunetti’s investigation turns serious. Did the old man kill him? An annotated copy of Dante’s Inferno, found at the scene of the crime, may contain the clues Brunetti needs to solve the murder–and uncover who is ruining the waters of Venice’s lagoon. But Brunetti needs the help of his wife, Paola, a professor of literature, and his daughter, Chiara, who should be doing her Latin homework. Over long lunches, on secret boat rides, and in quiet bars, as the weather heats up, the flowers come into bloom, and the tourists return in droves, Brunetti searches for the night watchman’s killer. But can he unravel the poetic clues before the unseemly death is allowed to be forgotten? A fascinating, evocative, and delicious novel set in native Venetian society that combines politics and culture, Through a Glass, Darkly is Donna Leon at her finest. Brunetti stood at his window and flirted with springtime. It was there, just on the other side of the canal, evident in the shoots he saw popping up from the earth. Over the last few days, someone – in all these years, he had never seen a person working in the garden – had raked the earth, though he noticed it only now. Tiny white flowers were visible amidst the grass, and those fearless little ones that hugged themselves close to the ground, the names of which he could never remember – the little yellow and pink ones – sprouted from the freshly turned earth. He opened the windows and felt fresh air flood into his overheated room. It brought with it the scent of new growth or rising sap or whatever it was that led to spring fever and an atavistic urge towards happiness. Birds, he noticed, were busy on the ground, no doubt pleased to discover that the worms had somehow been lured to the surface. Two of them squabbled over something, then one flew away, and Brunetti watched it disappear to the left of the church. “Excuse me,” he heard someone say behind him. He wiped away his smile before he turned. It was Vianello, wearing his uniform and looking far more serious than he should on such a lovely day. 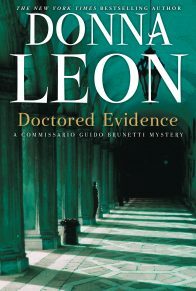 From the expression on the Inspector’s face and the stiffness of his body, Brunetti wondered if he should address him with the formal Lei, a grammatical formality they had abandoned on Vianello’s promotion to inspector. “Yes, what is it?” Brunetti asked in a friendly tone while evading the grammatical issue. “I wondered if you had a moment,” Vianello said, using the familiar tu and not referring to Brunetti as ‘sir”, thus increasing the likelihood that this would be an informal conversation. “The paint factory?” Brunetti asked, recalling an article he had seen in that morning’s paper. The Gazzettino had devoted the front page of its second section to a report of the arrest of six people during a “No Global” protest in front of a paint factory in Mogliano Veneto the previous day. The factory had been repeatedly fined for its failure to observe regulations on the disposal of toxic waste but had continued to operate regardless, choosing to pay the derisory fines rather than invest in changes to its production methods. The protesters were demanding that the factory be closed and had tried to prevent the workers from entering. This had led to a confrontation between the protesters and the workers, during which the police had intervened and arrested seven people. “Is he a worker or a “No Global”?” Brunetti asked. “I didn’t know that was the case,” Brunetti said. The paper had reported only that people had been arrested; there had been no mention of violence. “What happened?” he asked. “Who started it?” He knew how people always answered this question, whether for themselves or for their friends: it was always the other guy. “Only this morning?” Brunetti asked. “Does he know who the violent ones are?” Brunetti asked. “I still don’t understand why you don’t do it,” Brunetti said, making this sound like what it was – a request for information – and not what it was not, a suggestion that Vianello take care of it himself. Brunetti considered this for a moment and then said, “Yes; maybe. Do you know what the charge is?” he asked. None of this surprised Brunetti in any way. Unless someone had been there with a video camera, they would never know who had thrown the first punch, or rock, so it really was anyone’s guess what the charges would be and whom they would be brought against. “Yes,” said Vianello, getting to his feet. 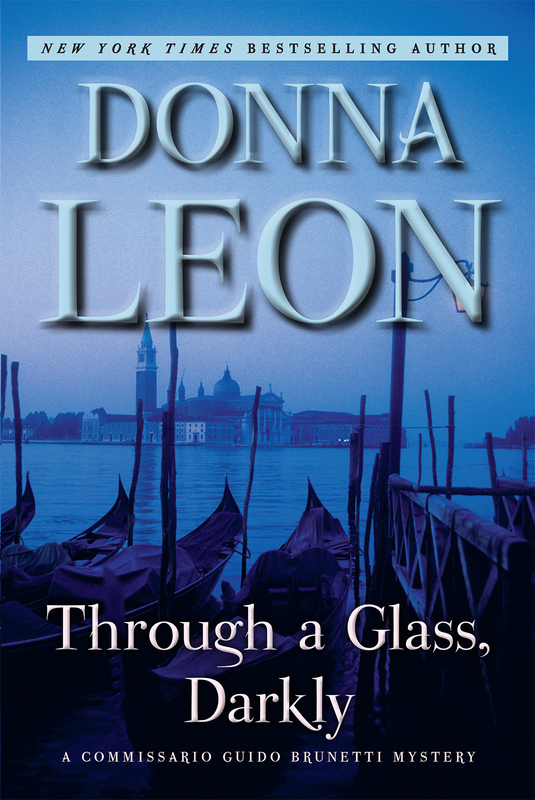 In Donna Leon’s previous fourteen Commissario Brunetti mysteries she has dealt with important Venetian themes, from opera to the art world, from the aristocracy to prostitutes, from the Jews to African street vendors. In her fifteenth, she takes us off the main island of Venice to one of the many outer islands of the lagoon. Murano has been an extraordinary place since the Middle Ages. Because of its position at the mouth of the Adriatic, it has served as a nexus between Europe and the Byzantine and Islamic worlds. In the thirteenth century, because so many fires had ravaged the main island, all the furnaces were compulsorily moved to Murano, which became the principal glass manufacturer of the Western world. Muranese glass artisans were granted unprecedented privileges, but legend said that if a glassmaker set up shop elsewhere he could be hunted down and even killed. 1. As the book opens, “Brunetti stood at his window and flirted with springtime” (p. 1). How is spring used as a theme throughout the book? Why is spring an important time in Venice? Note the number of references to flowers, lamb, etc. 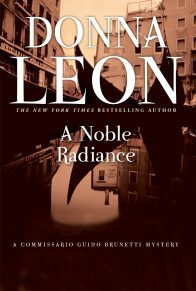 If this is a story about power, corruption, and pollution, why do you think Donna Leon keeps referring to the season of rebirth? 2. Is it only a whiff of spring fever that influences Brunetti to “play hooky,” or is this a particularly Italian way of behaving? Discuss the cultural differences between the depiction of Brunetti and depictions of American police. 3. What makes Brunetti willing to accompany Vianello to Mestre? They go in aid of one of Vianello’s old school friends. How many times throughout the book do old friends and connections help with the solution to the crime? Does it seem as if everyone in Venice is somehow connected to everyone else? Does Venice seem like a very small town? 4. It seems that Brunetti is willing to drop his official work to conduct a private investigation. “It occurred to Brunetti that he was perhaps engaging in that portmanteau offence, abuso d’ufficio, for he was certainly using the powers of his office to look into something that was of interest to him personally and had no official interest to the forces of order” (p. 59). Do you find his behavior compromising? 5. When Paola makes the acquaintance of Assunta de Cal at the gallery opening, she speaks of seeing “things grow and change and become more beautiful” (p. 37). Although she is referring to glass making, what other issues at the heart of this book and of the distinct nature of Venice does this remark incorporate? 6. Discuss the importance of Brunetti’s family to the story. What parts do Paola, Chiara, and Raffi play? What does this tell us about Brunetti’s fundamental nature? How does it influence his relations with his coworkers? 7. How would you characterize Brunetti’s relationship with Signorina Eletra and his boss Patta? Is Patta just comic relief or is he representative of something fundamental in the nature of bureaucracy? 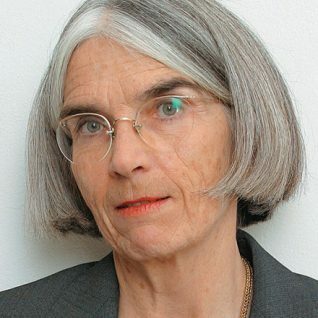 Does Signorina Eletra seem more of an assistant to Brunetti than to Patta? Discuss their relationship. 8. Follow the plot from the beginning when Assunta asks Brunetti to help her find out about threats her father Signor de Cal has made toward her husband, Marco Ribetti, an engineer concerned with waste disposal, all the way to the possible pollution of the lagoon by the glass factories of Murano. How do the pieces fall into place? Was it apparent where the story was going? Did you like the way the structure of the mystery unfolded? Are there any red herrings? 9. Does it seem that everyone in Venice, from the people at the Questura to the Brunetti family, has a strong opinion about the ecology of the the lagoon? How does this influence the story? Who has an agenda? Who has a real commitment? Where does Brunetti stand? 10. “He had gone there as a boy, when his father had worked in one of the factories for a time, but since then he had been there infrequently, since none of their friends lived on Murano . . .” (pp. 26–27). Do the people of Murano seem different from the people of the main island? In what ways? How are the descriptions of the trattoria, the Tassinis’ apartment, and the landscape surrounding the furnaces different from the descriptions of Venice itself? 11. “Tassini . . . was tall, perhaps in his mid-thirties, with large dark eyes set wide apart and a nose that seemed too small to fill the space left for it. He had an untrimmed beard with some grey in it that covered, though did not hide, the hollowness of his cheeks. Brunetti had seen that face on countless icons: the suffering Christ” (p. 91). Do these first impressions of Tassini set him up as a victim? Do you feel sympathy or irritation with him? 12. Brunetti has to struggle to try to understand Tassini. At one point Paola asks him if he thinks Tassini is crazy. What was your reaction? 13. In dramatic opposition to Tassini, the master glassblower is described as grand and self-assured in the extreme heat of the furnace, handling his long pipe like a wand, transforming a dollop of molten glass into a piece of art, and Brunetti likens it to the beauty of a ballet dancer. This is especially poignant as Tassini has been characterized as extremely clumsy. How does this connect to Tassini’s fate? What other important contrasts did you find? 14. Glass making is an activity of unfailing fascination, and there is still a fine fiery mystery to what the sixteenth-century visitor James Howell called “the furnaces and calcinations, the transubstantiations, liquefactions, that are incident to this Art.” Inside the furnaces of Murano the transubstantiations still occur every working day of the year. From your reading about the dangerous chemicals involved in the glass-making process, does this five-hundred-year-old statement still seem relevant? 15. 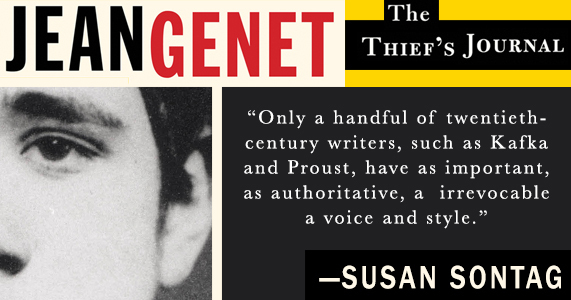 At the Brunettis’ home there is an easy relationship to literature, from Paola’s Russian folktales to Brunetti’s casual lunchtime reading of Gibbons. It isn’t a surprise when he refers to Dante as an “old friend” and relates Tassini’s notes to verses of Ezra Pound’s Cantos. There is a lot of affectionate teasing in the Brunetti household. What do you sense about this family? Did you feel they were familiar? Did you like them? Why? 16. What does Chiara’s ease in understanding the numbers as map coordinates say about her and her relationship to her father and to his work? Similarly, how does the pilot Fao’s knowledge of the GPS system advance Brunetti’s investigation? Why are the application of modern technology such as these and Signorina Elletra’s computer skills things that Brunetti is dependent on others for? Do you know people who are technophobes? Do you find them endearing or annoying? Did you feel the same way about Brunetti? 17. Brunetti is a traditional Venetian and there are numerous passages where he muses on the eternal and enduring Venice. Do these musings enrich the book? Venice is obviously an integral component, almost a character in itself. Can you imagine this story being as satisfying set in another locale? 18. “There were many qualities in his fellow citizens that Brunetti, as a policeman, abhorred: their willingness to accommodate crime; their failure to trust the law; their lack of rage at the inefficiency of the legal system” (p. 88). Although Brunetti adores his city, he sees it warts and all. How does this outlook influence the way he conducts his investigation? 19. Discuss what part luck and what part skill play in the final unveiling of the murderer. What key things did Brunetti learn from his questioning of the plumber, also of Fasano? What led Brunetti to request the telephone records? 20. As the story ends, Brunetti has Foa take him to one of Venice’s most well known restaurants, Harry’s Bar, where the Vice-Questore is having lunch. 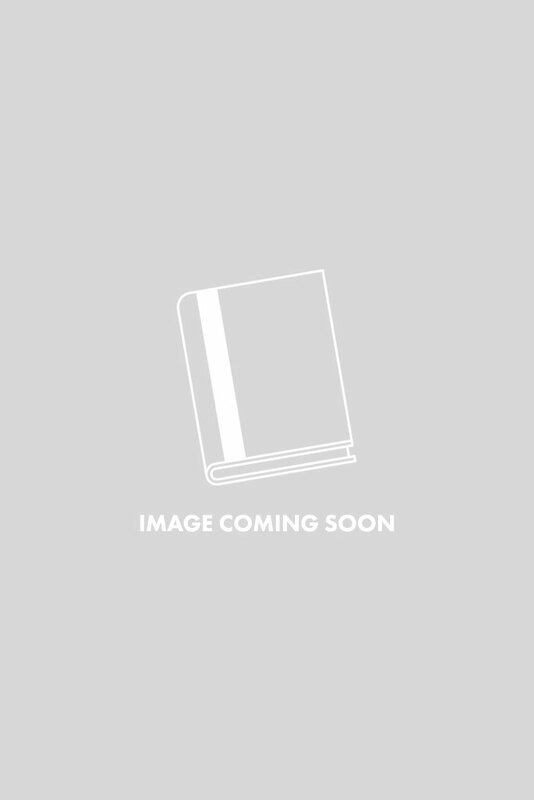 Throughout the book, we see the commissario’s devotion to fine Italian cuisine and wines. Can’t you smell Paola’s lamb with balsamic vinegar? Wouldn’t it be fun to accompany Brunetti around Venice for a day partaking of pastry at Ballarin, ice cream at Nico’s, and a coffee at Tonolo?